Is there any way I can get help with a manual wheelchair as my husband is disabled and we already get a car from motobility? You may well be able to obtain help buying a wheelchair using one or more of the following UK schemes. The first scheme to contact is the NHS Wheelchair Service run by your health authority. There are no standard criteria – these vary between authorities – but the general principles are the same. You attend a local Wheelchair Service. Here an occupational therapist or someone similarly qualified assesses your disability and your needs. You also have the chance to talk about funding options, training, and maintenance and repair. Funding depends on factors decided by each health authority. Ask your local NHS Wheelchair Service for more details. Some Wheelchair Services run a voucher scheme. Following your assessment, the Wheelchair Service may offer you a standard wheelchair free. Alternatively, the Service may give you a voucher. You can use this as part payment for a more expensive wheelchair supplied by an approved retailer. With this option, repairs and maintenance are free. You can also use the voucher as part payment for a wheelchair at an independent supplier, but then you’re responsible for at least some of the repair and maintenance costs. Each voucher lasts for five years. After this time, you can receive a further voucher unless your needs have changed in the meantime. If you’re unable, or virtually unable, to walk, you may be eligible to receive mobility payments. These form part of disability living allowance (DLA). To apply for DLA, contact the Department for Work and Pensions. Once you receive the higher rate mobility component of DLA (or the War Pensioners’ Mobility Supplement), you can join the Motability Scheme. Under the scheme, you can use your mobility allowance to obtain a powered wheelchair, a mobility scooter, or even a new car. There are organisations such as the Red Cross that support physically disabled people. 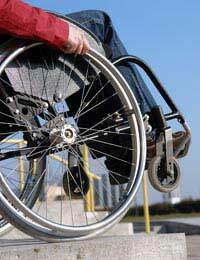 They may be able to help you with wheelchair funding depending on your circumstances. For contact details, ask the Wheelchair Service. Alternatively, check the independent living charities listed on the government’s public service directgov website. The Access to Work programme may also be able to offer money towards a wheelchair. Contact your regional Access to Work office, or speak to the Disability Employment Adviser at your local Jobcentre. I'm looking for charity who supports disabled people's.My brother live in Albania and he really need a wheelchair.they cost so much so we can't afford to buy one. It will be very helpful if someone tells me how can I find one. Hi, Up until around 9yrs ago I was fit and healthy.Some people would say I was a fitness freak!! To cut a long story short..... After a messy break-up with my childhood sweetheart, whom I found in bed with another woman, after coming home early, my head was all over the place, so I joined the ARMY as a Combat Medic.I served 3&1/2 years, met my now ex-husband, got married, had a baby, got divorced after he turned violent and ended up having to move back to my parents will my 7mths old Daughter. I first started getting symptoms when my Daughter was about 6yrs, I got mouth ulcers and gut problems first.I lost 3 stone in a matter of weeks.Everyone thought I was anorexic! !One morning I had got up and showered, got as far as getting my underwear on then got this almighty pain in the right hand side of my gut.Mum just dialled 999.It turned out I had a rupture from an ulcer in my ilium.I was lucky as I was treated so quickly, otherwise the story could have been so different. After that then came the joint pain.Mine also effects my tendons, which makes it more painful. The embaracing symptom is genital uncleration, of which I do get every now and again. I also get ulceration and leisions on my legs, which start if as a raised bumps, they then seem to pop and ulcerate!Not nice at all All of these symptoms have a name:It is a rare autoimmune disease/syndrome called BEHCET's SYNDROME/Disease. Try the disabled facilitites grant, they're generally given for adaptations related to a disability but can be given for reasons of warmth etc. Use the Turn2 Us Grant search tool to see what other grants might be applicable.